Dr Ci:Labo's Super 100 range is part of the brand's "Special Care" range, and it consists of 5 different ampoule/serum type products, featuring different ingredients, including Hyaluronic Acid, Marine Collagen, Vitamin C, EGF (Epidermal Growth Factor), and Placenta. These serums can be added to your moisturizer, or else used on their own before moisturizer. 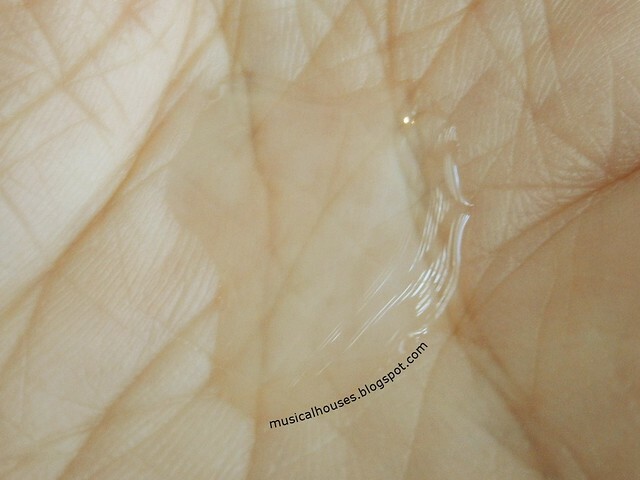 When mixing it in your own moisturizer, I'm told that you just add a drop or two into the appropriate amount of moisturizer in your palm, and mix before application. These all come in blue or brown glass bottles of 10ml or 30ml, with a little tip that dispenses the serums one at a time. 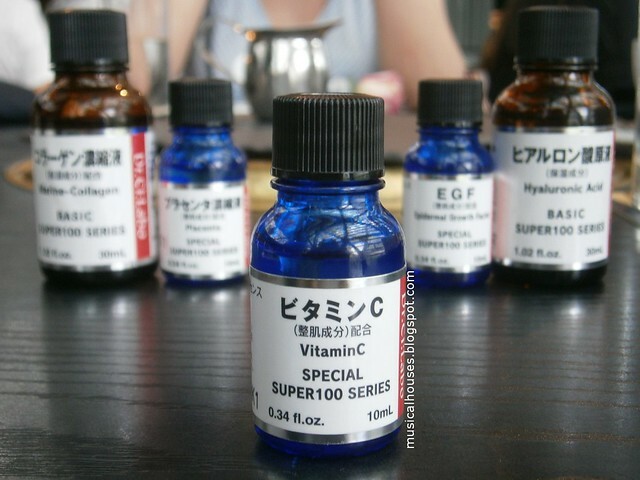 The Super 100 serums are all unscented, and in my opinion can be used with any moisturizer, although Dr Ci:Labo recommends that you use them with the other Dr Ci:Labo serums. Specifically the Hyaluronic Acid, Marine Collagen, and Placenta Super 100 Serums are meant to be mixed with the Labo Labo Super Moist Gel 5H5C (which I've reviewed before here), and the EGF and Vitamin C Super 100 Serums are meant to be mixed with the Labo Labo Super Keana Gel. Anyway, these might be pretty useful as nifty little boost to your skincare routine. And without further ado, let's take a look at the individual serum's ingredients and what's inside! 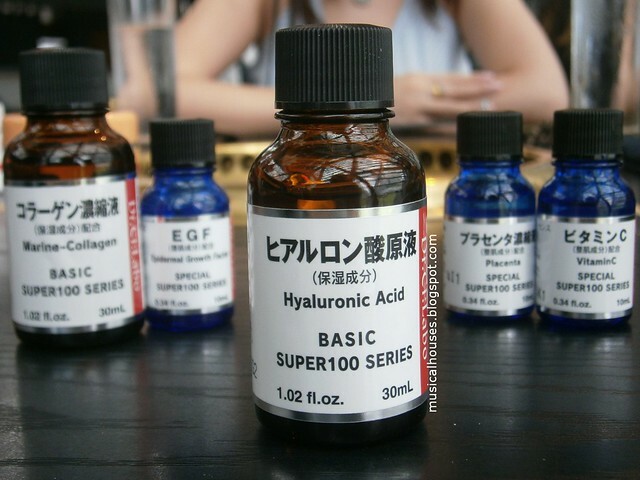 Let's start with the Super 100 Hyaluronic Acid Serum. 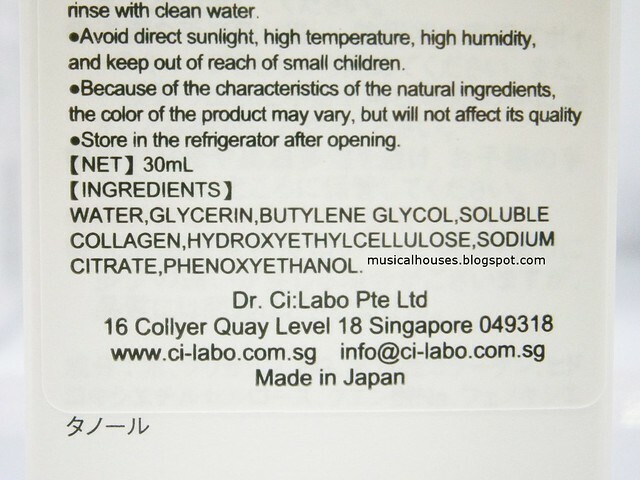 The ingredients are pretty simple and consist of water, Sodium Hyaluronate, and Phenoxyethanol. 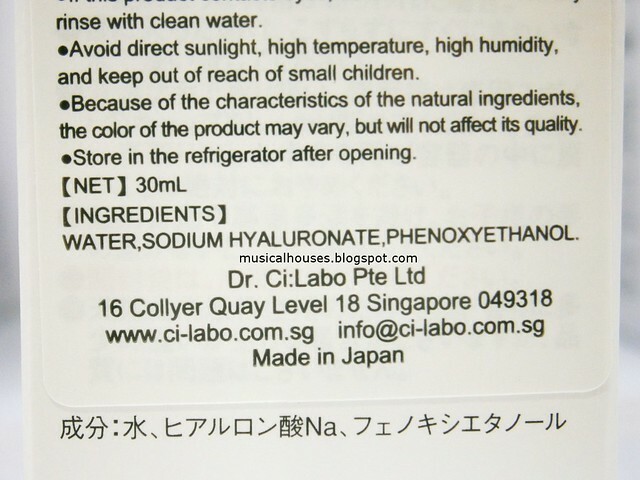 Sodium Hyaluronate is the salt of Hyaluronic Acid, and when dissolved into water, forms Hyaluronic Acid. Phenoxyethanol is the preservative. So essentially this is basically Hyaluronic Acid with a preservative to prevent spoilage, and is a serum that has humectant properties. 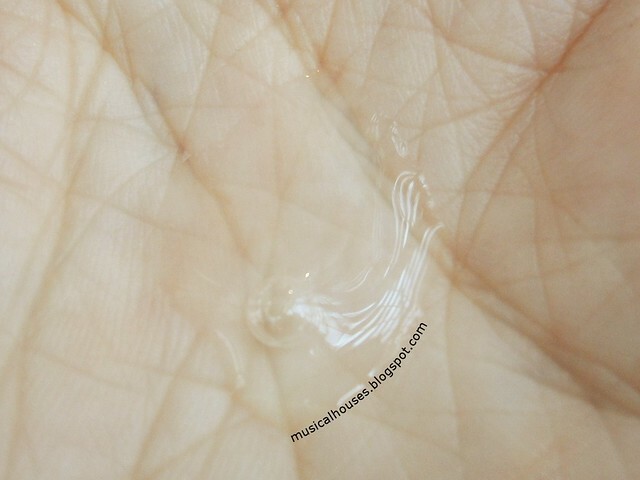 The Super 100 Hyaluronic Acid Serum is a clear, very thick and viscous gel, that absorbs fairly without residue, although it does feel a bit tacky for awhile. But it doesn't feel oily or greasy. I could definitely see this being added to a variety of moisturizers or lotions, and I think it's quite versatile. The only thing is that perhaps adding large amounts of the Super 100 Hyaluronic Acid might make the overall ixture feel more tacky. 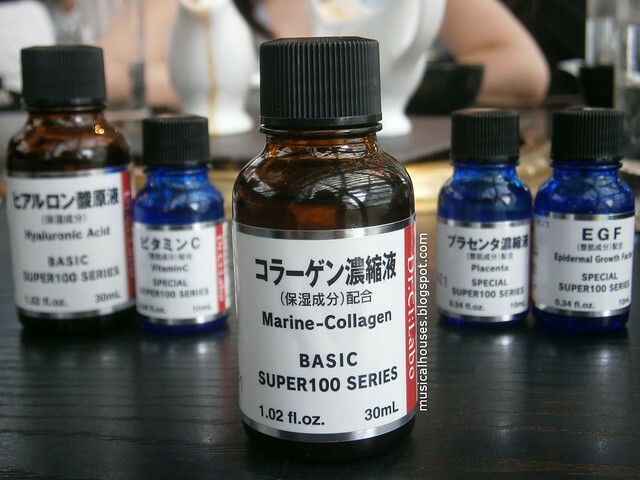 Now that we're done with the Hyaluronic Acid Super 100 Serum, let's move on to another one I think will be quite popular - the Marine Collagen Serum. 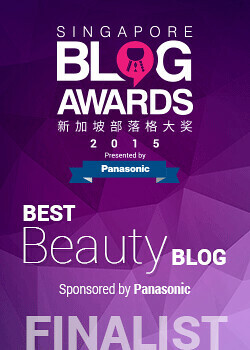 I've already written my opinion on collagen in skincare, so I won't berate the point here. The Super 100 Marine Collagen Serum consists of water, humectants (Glycerin, Butylene Glycol), the Soluble Collagen, which here functions as a humectant. The rest of the ingredients are thickeners (Hydroxyethylcellulose), buffering agents (Sodium Citrate), and preservatives (Phenoxyethanol). This also functions primarily as a serum with humectant benefits, although Dr Ci:Labo advertises this as for lifting and wrinkles. When I tested the Super 100 Marine Collagen Serum, I found that it was a lightweight gel that absorbed fast. Again, like the Hyaluronic Acid Serum, I could see this working with a wide variety of lotions, gels and moisturizers - it would just increase the humectant properties of whatever lotion or product you add it to. Let's move on next to the next serum that I think just might be my favourite - the Super 100 Vitamin C Serum. Yup, basically that's it. It's essentially a stable form of Vitamin C (Ascorbyl Tetraisopalmitate), dissolved in a base of Olive Oil. Because the product is anhydrous (there isn't any water in it), it doesn't require preservatives like the rest of the serums do. 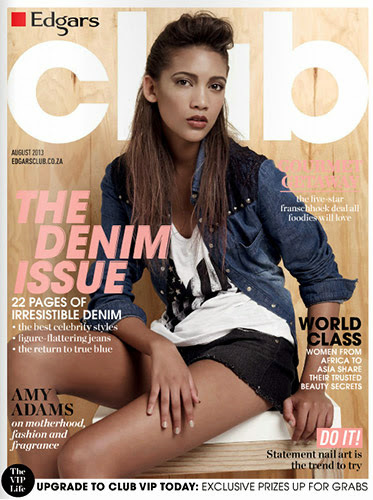 It's also the only oil-based serum in the range, perhaps due to the need to keep the Vitamin C stable. Vitamin C is one of my favourite ingredients due to its antioxidant properties, and this serum also has the bonus of being moisturizing too due to the Olive Oil. When I used the Super 100 Vitamin C Serum, I found it to be oily in texture, which makes sense because the base is olive oil. Again, because of the olive oil, I found that this left a bit more of a an emollient film behind on skin - sort of like a facial oil. If mixed in with a moisturizer, the oily feeling will be lessened but will still be there. I personally really like the ingredients in this formula, but I suspect that the oily texture of the serum might not be everyone's cup of tea. 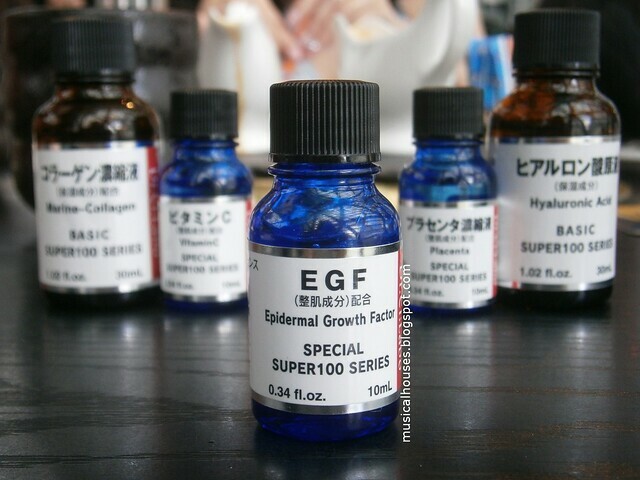 The Super 100 EGF Serum is an interesting one, because Epidermal Growth Factor sounds like something that should really help your skin to grow, right? What is EGF anyway? wELL, "EGF is part of a complex network of growth factors and receptors that together help to modulate the growth of cells. EGF is released by cells, and then is picked up either by the cell itself, stimulating its own growth, or by neighboring cells, stimulating their ability to divide." In theory this should be super interesting, since it has the possibility to stimulate cell growth, which is why you see EGF in a lot of skincare products that advertise skin renewal or other anti-aging properties. While this is certainly a possibility, the published science, however, is a lot less certain. Most of the research on EGF, with respect to topical application (so eliminating all the studies which look at EGF and cancer), has been done on wound healing, like human ulcers, and in minimizing radiation dermatitis in breast cancer patients. It has also been shown to accelerates wound healing by myofibroblast proliferation and collagen synthesis in rats, which is a useful starting point but not always extrapolable to the human body. So I think EGF is promising, but more research on topical un-wounded skin in humans would be useful, because I imagine most people buying this would be looking to apply it to skin that's not necessarily wounded. Now that we've looked at what EGF is, let's look at the serum proper. The serum contains water, humectants (Glycerin, Butylene Glycol, Pentylene Glycol), some sugar-type ingredients (Glycosyl Trehalose, Hydrogenated Starch Hydrolysates) which function as stabilizers and humectants, and then the EGF (Human Oligopeptide-1). There's also emollients (Glycine Soja Oil, Lecithin), emulsifiers (PEG-30 Soy Sterol, Polyglyceryl-10 Laurate), anti-irritants (Dipotassium Glycyrrhizinate), thickeners (Carbomer), pH adjusters (Sodium Hydroxide), and preservatives (Phenoxyethanol). 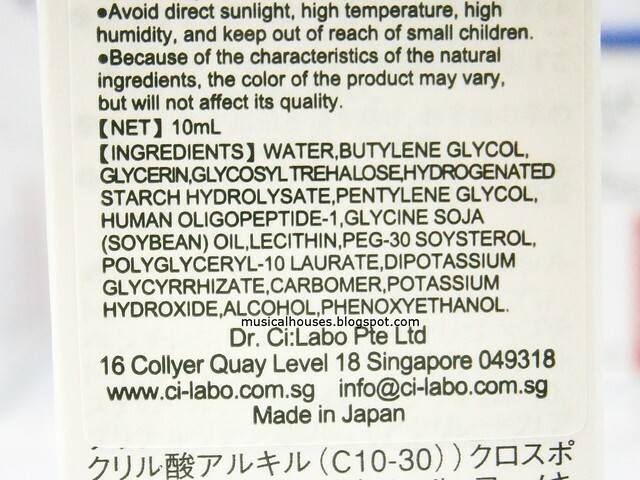 So, looking at the formulation of the product, we can see that this is a bit more complex - unlike the Hyaluronic Acid Serum, where all the ingredients are water-soluble, or the Vitamin C Serum, where all the ingredients are oil-soluble, this contains both water- and oil-soluble ingredients, thus necessitating the need for ingredients like emulsifiers and stabilizers. With both humectants and emollients, this will probably come closest to the properties of a standalone moisturizer, too. The Super 100 EGF Serum goes on really much like the rest, except the Vitamin C serum - it's basically a lightweight gel, and absorbs fast without too much greasiness or oiliness. I'm told this is the bestseller in Japan, so if you're looking for someplace to start, this might be a good one to try. Like the rest of the serums, I don't see anything that prevents you from adding it to a wide variety of moisturizers and creams. Now, I've saved the most interesting Super 100 Serum for the last - the Super 100 Placenta Serum! I know Placenta is one of those ingredients which might have an "ick" factor for people who aren't accustomed to the more, uh, exotic side of Asian beauty (think snail slime, goat's milk, and other novelty and unusual ingredients), and I have to admit, for me, it certainly isn't exactly an ingredient I'd gravitate to, because I'm pretty boring when it comes to skincare ingredients (you know - Vitamin C, Retinols, AHAs/BHAs, that sort of thing), but it's something I'm open to. The general idea behind using Placenta is the idea that it is supposed to help enrich your skin in some way. What does the science say, though? Most of the studies for Placenta applied topically, like EGF, focus on various aspects of wound healing - it could aid in healing of oral wounds, in lessening the pain during dressing change in non-healing wounds, and in surgical wounds after orthopaedic surgery, so it's possible that there is some wound-healing benefit. But like EGF, studies on unwounded skin are harder to find. There was, however a study that indicated that topical application of porcine placenta extract inhibits the progression of experimental contact hypersensitivity, which could be useful for anti-inflammatory effects in skincare. So like EGF, it's potentially promising and interesting, but not quite a cure-all magic bullet. The ingredients in the Super 100 Placenta Serum are water, Placental Protein, humectants (Butylene Glycol, Glycerin), a thickener (Hydroxyethylcellulose), and a preservative (Phenoxyethanol). 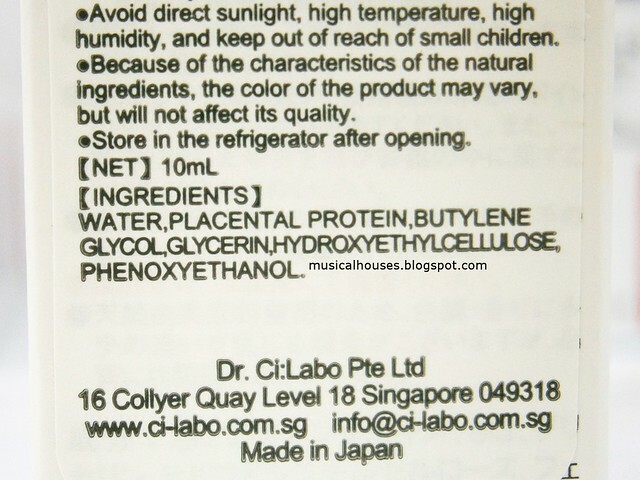 So again, this is a very stripped down serum that really focuses on the Placental Protein - it's the second ingredient here, and so is likely to be there in high amounts. So if you're keen on trying out a serum with Placenta, or adding it to your routine, this is a great option. When I tried the Super 100 Placenta Serum, I found it to be a watery lightweight gel that sinks in fat, and doesn't leave much of a residue. It also doesn't actually have any discernible scent - like the rest of the serums, it just smells odourless. Again, like the rest of the serums, it can be added to a wide variety of moisturizers and lotions and the like - I don't see anything in the ingredients that prevents it from being compatible with most product. 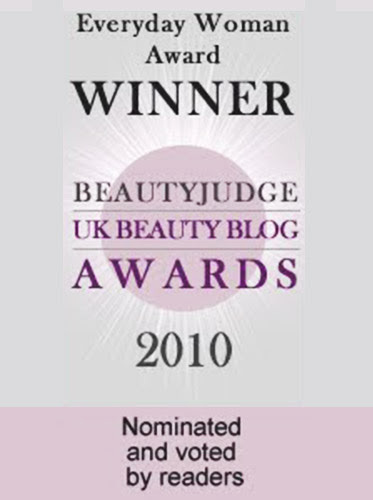 So, would I recommend the Super 100 Serums? I think I would. To be clear, these are what they say they are - they're stripped-down serums formulated for the express purpose of delivering a particular ingredient (Vitamin C, EGF, Placenta, Hyaluronic Acid, Collagen) to your routine, and thus they're probably better mixed into your moisturizer rather than used alone, although of course, you can certainly do that. I also like that they are formulated without any irritants or pore-clogging ingredients - there's no fragrance, no irritating extract, or anything like that. 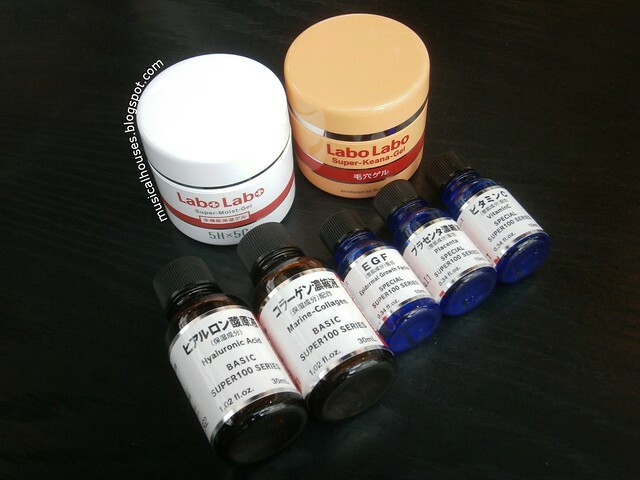 I also appreciate that these all go with a wide variety of moisturizers - Dr Ci:Labo recommends you use them with their own brand moisturizers for better effect, but I don't see anything stopping you from using it with your existing moisturizers. Basically, these are quick, easy ways to add a particular ingredient to your routine, without having to incorporate a totally new product or revamp your entire routine. 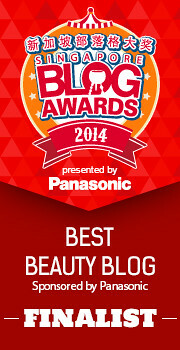 My personal favourites are the Vitamin C Serum and the Hyaluronic Acid ones, but yours might differ. Prices range from SGD$32-$53, which seems reasonable given that you only use a bit at a time. The Bottom Line: Dr Ci:Labo Super 100 Serums are well-formulated to deliver specific ingredients into virtually any moisturizer, and are also fragrance-free and unlikely to irritate skin.